Where to begin with this trio of redolent treats? Each one is a unique creation of Mandy Aftel’s, who is probably well known to you if you frequent perfume blogs or have an interest in *natural perfumes. 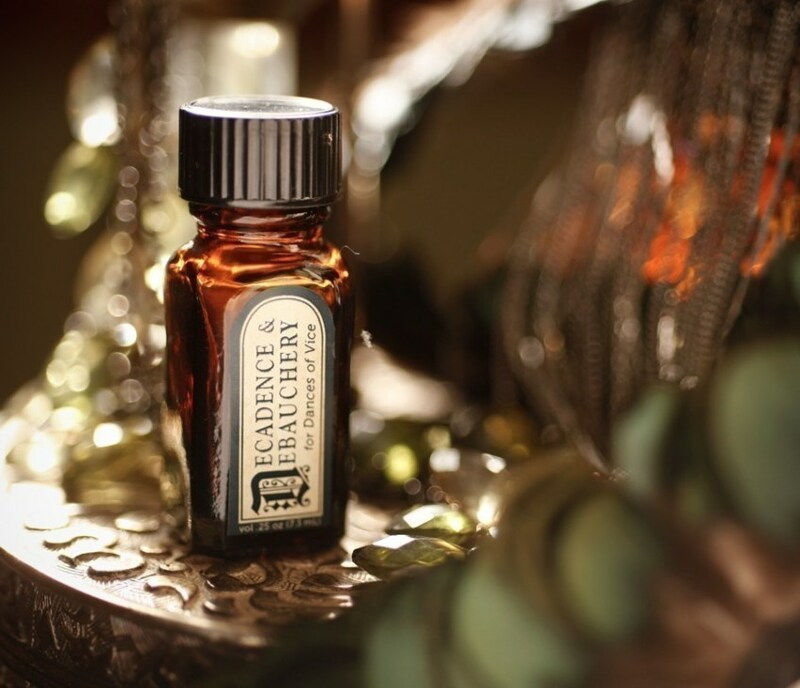 You might also be familiar with her book, Essence and Alchemy, which has influenced me a great deal in my blogging and personal love of perfume. Her evocative way with words and firm grasp of history makes it an incredibly inspiring and educational read. I believe she was able to write so poetically about the history of fragrance because she has an innate talent in creating fragrance herself. This expertise is exemplified quite remarkably in the gems pictured above. After an absolutely beautiful, sunny summer here in the Pacific Northwest, the rain has finally set in, and that means it’s time to cozy up with your deeper perfumes. Fortunately, Mandy Aftel’s latest creation, Vanilla Smoke, fulfills the hopes for those of us who love vanilla fragrances for the fall and winter. The beauty of this new perfume is its nuanced balance between sweet and smoky. The vanilla absolute used in Vanilla Smoke is in no way sticky sweet, but rather like an aromatic liquor that lulls you into a cushy nap. Coumarin, which is derived from tonka beans and cinnamon, heightens the vanilla note as it too adds dimension to the perfume’s smokiness while not making it sugary. Best of 2011: A Blogging Event. Another year is coming to a close, so it’s time to wrap it up with a Best of 2011 list. Truthfully, there were gobs of fabulous releases this year, particularly in the natural fragrance realm, which makes me giddy and thrilled for all those indie artists devoted to the alchemy of botanical perfume. In the interest of keeping your attention- and since long lists are rarely a pleasure to read through- I’ve distilled my Best Of list to 10. Muguet de Mai by DSH Perfumes. When I asked Dawn Spencer Hurwitz if she would be interested in creating an all natural muguet scent for a May Day blogging event, I had no idea such a stunningly beautiful, complex, and true-to-life lily of the valley perfume would emerge. Muguet de Mai is like turning over a rain soaked tree branch in the forest to find a protected cluster of freshly blooming lily of the valley, densely floral while teeming with the fecundity of the soil’s riches. Muguet de Mai is a marvel and I can’t thank Dawn enough for taking me up on my offer, and for creating my favorite perfume of the year. Muguet de Mai is available at DSH Perfumes, $125 for 5ml antique parfum presentation. To Bee by Roxana Illuminated Perfume. The scent of beeswax, whether it’s burning in a candle or suffusing the skin as a perfume, is one of those aromas that I find instantly soothing. Its honeyed and resinous warmth calms my nerves and slows my breath. 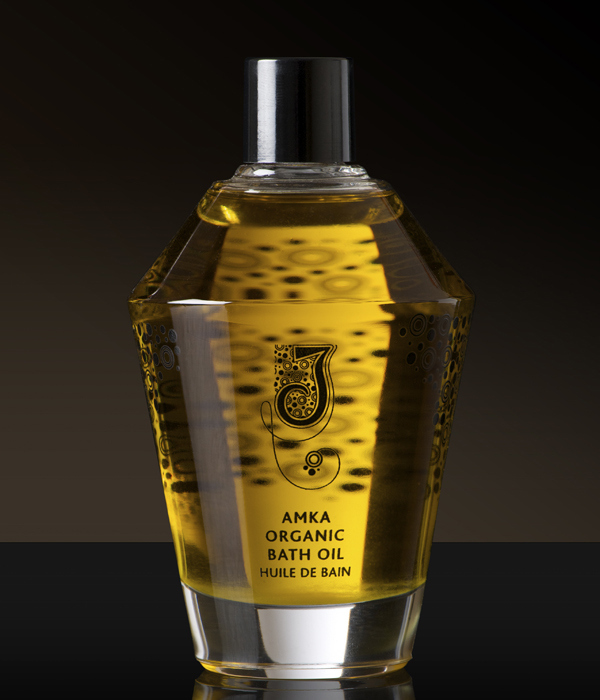 To Bee achieves this effect beautifully and is enhanced by many essences, but most notably tonka, ambrette and oud. Even though To Bee is lovely on a cold wintery eve, it’s truly a seasonless scent. 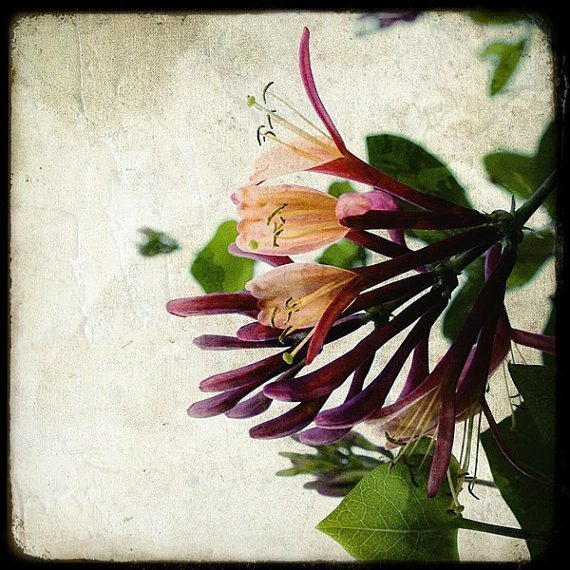 I first discovered To Bee in the heat of July when summer’s warmth amplified its delightfully ambery sweetness. To Bee is available in solid or liquid perfume at Roxana’s etsy shop. I particularly love the solid perfume locket for $30. Dimanche EDP by Strange Invisible Perfumes. Dimanche was first released as a limited edition parfum in 2010, but in early 2011, it was made available in EDP concentration. The EDP is also limited edition, but the Strange Invisible Perfumes boutique still has a small quantity in stock. Dimanche opens with a cool and crisp iris, then proceeds to warm-up in the middle with hay, rose, and honey. A not-too-sweet amber dusted with cocoa awaits in the drydown, making for an olfactory experience that is multi-layered, compelling and alluring. Dimanche EDP is available only via the SIP Boutique. $270 for 50ml. Please call 310.314.1505 for phone orders. Orcas by Ayala Moriel Parfums. Orcas is a fragrance that sweeps you off your feet and carries you along the rugged beauty of the Pacific Northwest coastline. Within Orcas, you will discover spruce, moss, rosemary and seaweed that are herbaceous and invigorating. Violet leaf and cedar are also in this seafaring perfume which cast complementing green and woody tones. Wearing Orcas this winter has me longing for a summer drive along the northernmost parts of Highway 101. It’s a little melancholy since those months feel very far away, but put on some Nick Drake and a dabbing of Orcas, and wallow in its wistful beauty. Orcas is available at Ayala Moriel Parfums, $120 for 15ml splash bottle. Cologne du Maghreb by Tauer Perfumes. I recently reviewed Andy Tauer’s all natural cologne a few weeks ago, but it is so remarkable, that I can’t help but mention it again so soon, as it really is one of the Best of 2011. I love how CdM’s deliciously vibrant citrus notes are savored from its opening notes to the drydown. Orange blossom and cedar are then enjoyed in the middle stage of CdM’s development, and the drydown is more than worth waiting for. 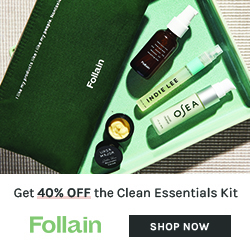 To quote my review, “… in the end, this classically styled cologne morphs into an amber fragrance replete with sweet yet animalic labdanum that still continues to be green and citrusy-floral. It’s really amazing and beautiful and appropriate for both men and women.” Cologne du Maghreb is available exclusively at Indiescents. $65 for 50ml atomizer flacon. I hand this award to Tammy Fender without a moment’s hesitation. 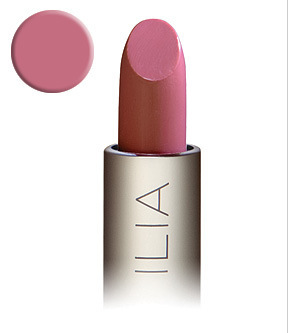 Her eponymous skincare line was launched several years ago, but it’s a 2011 find for me, so on this list it goes. 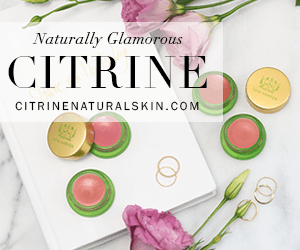 The product that I am most crazy about and would gladly shell out 95 clams for, is the Antioxidant Creme with Neroli & Orange. 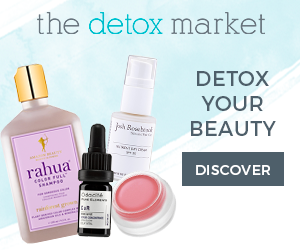 Click on the link and you’ll find the full list of ingredients that reads like a juice bar menu, as well as information on highlighted ingredients like algae extract and carrot seed. I am totally addicted to the glorious neroli scent of this facial moisturizer. It smells just like the orange blossom seasons I remember from my childhood, and it sends me into a relaxing sleep. 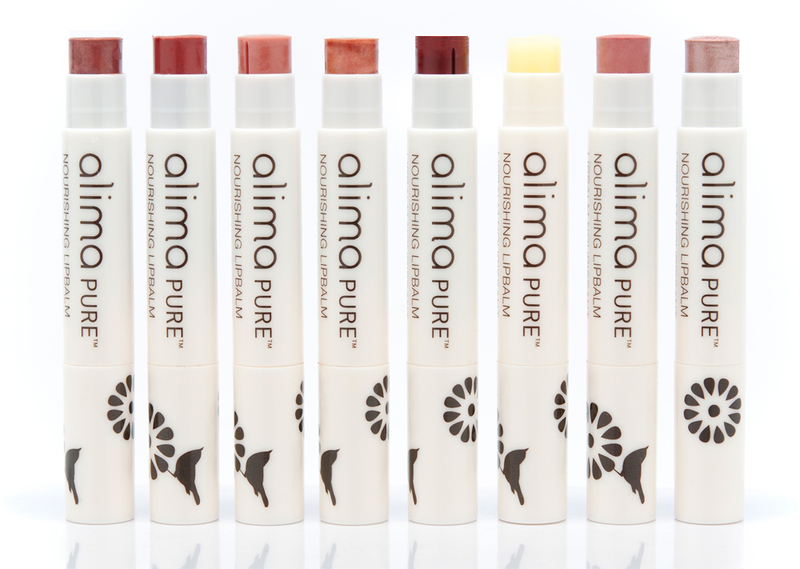 The consistency is a cream-gel hybrid that feels nourishing as it rapidly absorbs into the skin. I use this at night as I don’t want to use my little jar of precious up too quickly, but if I had my druthers, I’d use it day and night. Tammy Fender Antioxidant Creme is available at her website, $95 for 1.9oz glass jar. I am also loving the Tammy Fender Cleansing Milk which is rich and thick and possesses an aromatic lavender scent that vacillates between sweet and herbal. I know lavender can be an irritant to some, so if that’s the case, this cleansing milk is not for you. As for me, I love lavender and my skin loves it as well, so I slather it on, massage it in, and let it cleanse, which it does very well. Tammy Fender Cleansing Milk is available at her website, $55 for 6.7oz glass pump bottle. Burt’s Bees has come out with a really nice line of sensitive skincare that’s worth attention. I have the Sensitive Facial Cleanser and the Sensitive Daily Moisturizing Cream and am highly impressed with both. The cleanser is similar in consistency to the Tammy Fender Cleansing Milk, albeit without the high price tag or the lavender scent. But, the ingredients are just shy of being all natural (99%), and some of the “natural ingredients” are highly processed and nowhere near the food grade, organic quality of Tammy Fender’s line. Having said that, $10 is a much more accessible price point and it works great. Available at Burt’s Bees, $10 for 6 oz. The Burt’s Bees Sensitive Daily Moisturizing Cream does a nice job of moisturizing given its lightweight formula. Like the Cleansing Cream, it’s 99% natural- not at the Tammy Fender level of natural- but for $15, you get a lovely cream that wears well under powder or liquid foundation, and has been keeping my skin soft even in this winter weather. Soothing aloe, shea butter and moisturizing rice extract provide efficacious hydration, and is fragrance free. It’s available at Burt’s Bees, $15 for a 1.8 oz pump. 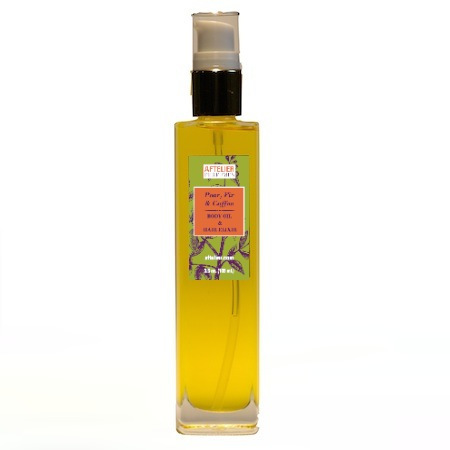 Pear, Fir and Coffee Body Oil and Hair Elixir by Aftelier Perfumes. Scent Hive readers might remember that I included this gem in my Holiday Gift Guide. Now it’s making an appearance on this list because not only does it make a great gift, it also happens to be my favorite body oil of the year. 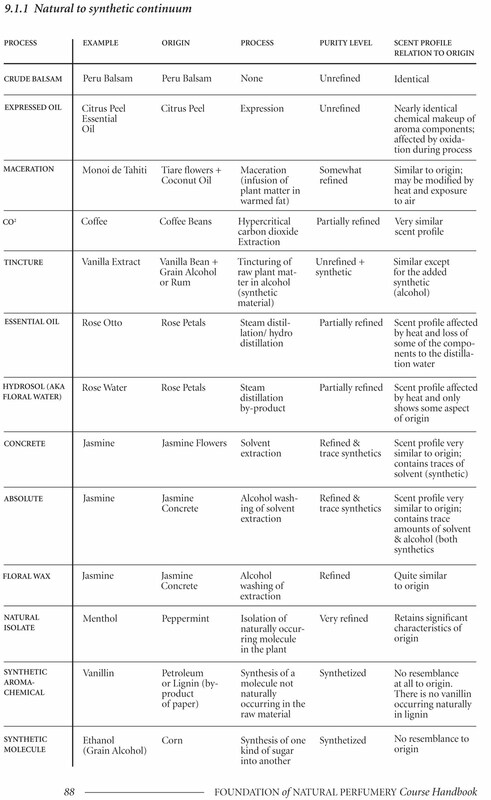 (Body oils are my preferred mode of skin hydration, BTW). So why do I love this one so much? It’s that quirky mix of notes, pear, fir and coffee, that excites my senses as this trio of fruity, balsamic, and earthy essences play against each other in a truly unique way. The luscious blend of fractionated coconut and jojoba oils provide superb hydration and act as excellent carriers for the botanical essences. I wish my sample wasn’t tapped out as I am dying to use it in my hair since it’s also billed as a hair elixir. I guess that means my shopping cart over at Aftelier.com might be getting some action real soon. 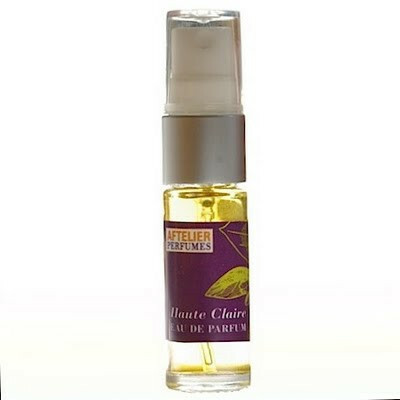 Aftelier’s Pear, Fir and Coffee Body Oil and Hair Elixir is available at Aftelier.com, $40 for a 3.5 oz glass pump bottle. 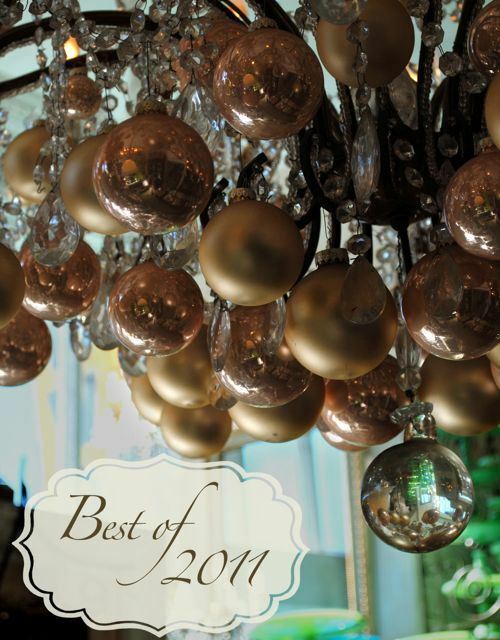 Please visit the blogs listed below as they are also sharing their “Best of 2011” picks. I can’t wait to see what they favored this year! My heart ached for poor Romauld as I read of his love literally vanishing into dust before his eyes. His subsequent deep anguish regarding that love made me feel even more despondent. Thankfully, I was soothed by the post at ScentLessSensibilities, as Sheila picked up the story where the author Théophile Gautier left off. Her continuation of Clarimonde centers around Romauld’s housekeeper at the presbytery and a mysterious perfume she finds during a posthumous sorting of his chamber. The perfume that Sheila was inspired by, Immortal Mine, was created by Maria McElroy and Alexis Karl for The Clarimonde Project. It is rich and floral, inky and dark, but I’ll stop there. Go read ScentLessSensibilities‘ review as it is far more inspired than anything I could attempt. My sadness for Romauld has also been assuaged by a gloriously comforting oud and frankincense based perfume by Mandy Aftel. Mandy’s Clarimonde-inspired Oud Luban smells of wooden pews and altars suffused with incense that has burned for centuries and centuries. 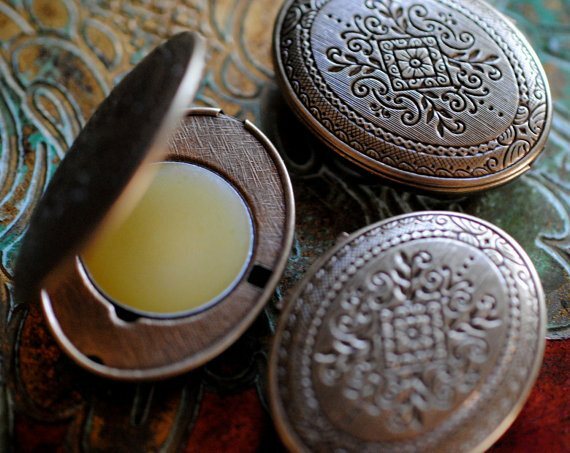 Oud Luban is a solid perfume that holds eight different types of oud in its midst. 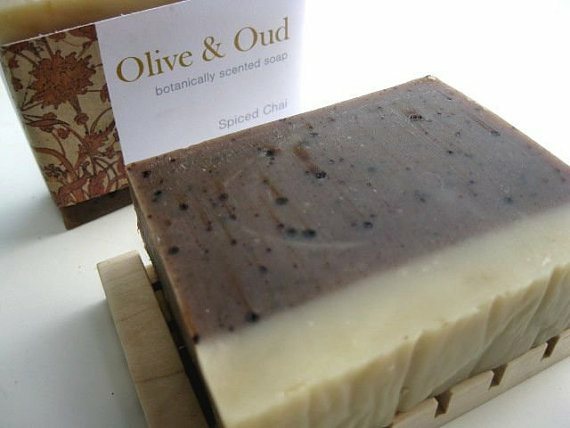 Surprisingly, it is a subtle and supple oud that caresses with suede, etherial smoke and a smoothly aged patchouli. It is both sensual and reverential, and I hope Romauld found comfort in such an aroma in the wake of Clarimonde’s departure from his life. Oud Luban is available at Aftelier Perfumes. Disclosure: Samples were sent to me for consideration by the above perfumers. Opinions in this review are my own. I was not financially compensated for this review or any other. Janet! I will send your info to Mandy Aftel as soon as I get it. Enjoy! What a gorgeous tobacco scent this is! That was my first thought when I applied Memento to my skin as its sweet smokiness curled toward my nose. I quickly emailed Mandy Aftel, creator of Memento, and shared my quick affection for her luscious tobacco perfume. The response I got was quite unexpected. There’s no tobacco in Memento. Mandy did however, feature an enticingly rich antique clove on a base of sweet and sultry tonka beans that creates the impression of a pipe freshly packed with aged tobacco. Along with the richly redolent clove essence, nutmeg and cinnamon enhance Memento’s spicy character, but not in a culinary sense. These spices take on a very sensual, smoldering temperament that leads you away from the kitchen and to a comfy couch for some nuzzling. Rose and jasmine sambac are listed in the heartnotes, and their presence provides a full, round quality to the clove/tonka duo. 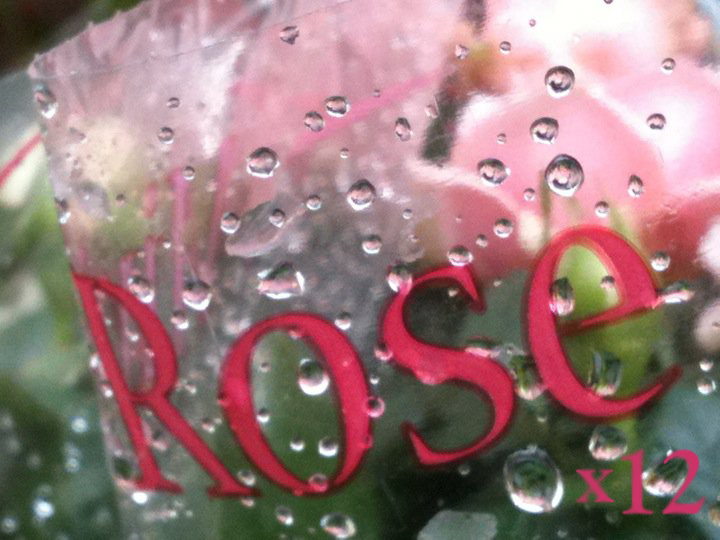 Specifically, rose lends its powdery softness and jasmine sambac bestows its piquant petals upon the inherently aromatic aforementioned spices. But rather than shift Memento into the floral perfume category, rose and jasmine augment the sweet “tobacco”, making it even more sumptuous and distinct. Memento was originally created for “The Alchemy of Taste and Smell” event in NYC this past November. Mandy’s culinary aromatics and perfumes were used in the evening’s dishes, but the focus was the intentional pairing of select Aftelier perfumes with specific dishes. Memento was experienced with dessert, a cinnamon smoked apple with buttermilk and hazelnut. In this moment as the drydown becomes a touch sweeter, and even more alluring, all I can think about is getting my hands on that dessert while wearing this alluring tobacco perfume. 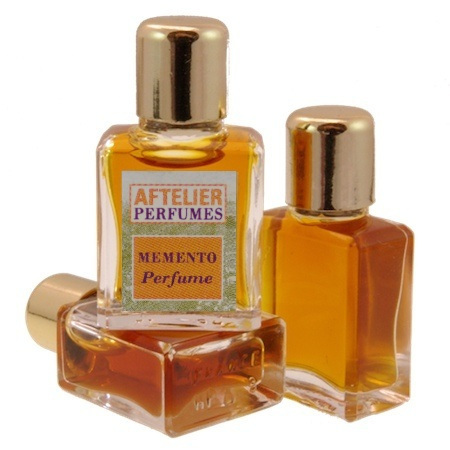 Memento is available at Aftelier.com, $45 for a 2ml mini flask.